With internet, it is so easy to plan your trek ahead of time. You can reduce your cost by avoiding broker agents and rather pay fairly for environmental and sustainable tourism causes in the region you are trekking. Avoid booking through online wholesalers set up only for monetary benefit. These establishments don’t even know what they are selling and demoralize the local companies, established with their long term experience and those pursuing ethical tourism. Use Tour / trek agencies as they pay taxes, insurances and other environmental and social liabilities necessary for the country. 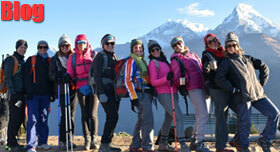 Fitness make significant difference to your overall trekking experience. 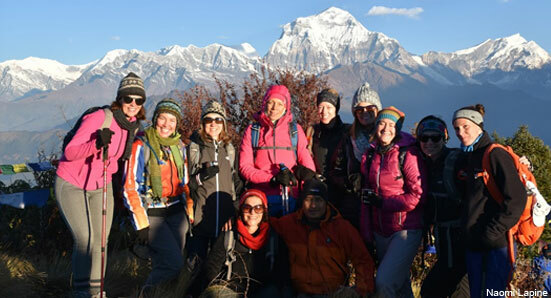 If you are a reasonably fit person, you will enjoy a trek in Nepal Himalayas. 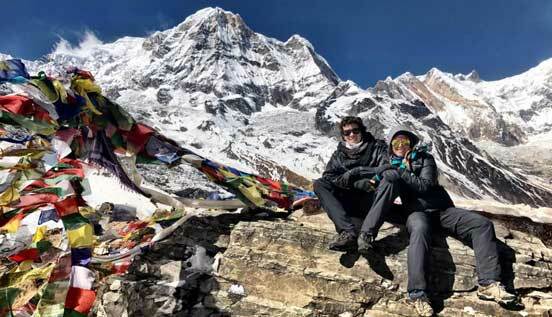 By fitness, walking in park is not enough as Nepal trek involves multiple days’ walking uphill and downhill at the rate of 10 km per day, which is about 6 hrs walk. Even easy walk or Nepalese flat has some ups and downs as incline of about 100 m is not counted. Also the altitude makes it different. Training your body by regular day hikes, jogging and climbing stairs instead of elevators few months before coming on a trek will increase your stamina. It is also possible to customize the treks with shorter walking distance each day. Monsoon (Mid June – Mid Sept) season remains mostly cloudy with everyday rain. It is possible to do trek in June and August as the intensity of rain will be less. However it is not the best time. 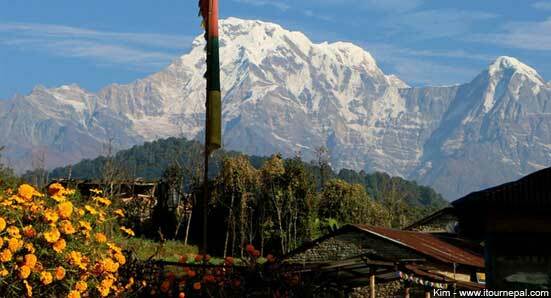 The most popular season for Nepal trek are Spring (March and April) and Autumn (October and November). But the peak season rush may makes you compromise with logistics. If you are doing short treks to Pun Hill, Mardi Himal or Tengboche, the weather remains perfect throughout winter. Winter days are warm and sunny with clear Himalayan view every day. If you are planning long treks to Base camp or high passes, you can start travelling couple of weeks before or later than the peak season to avoid the crowd. Short treks like Ghorepani, Mardi and Tengboche passes through beautiful Rhododendron forests native to the Himalayas. The trek becomes even more picturesque when they bloom from mid-March till mid-April. Altitude shows its effect above 3,000 m and the effect depends upon person’s stamina and health on the trek. Most of the itineraries are put together in a way to avoid altitude sickness with extra rest days and acclimatization sidewalks. Don’t trek too high, too fast or do not go ahead if symptoms are getting worse. Let your trekking guide know what you are experiencing. Tips to cope / avoid altitude sickness. Travelling light makes it so easy for you to pack up and move forward. Pack with layers of warm cloths instead of big jacket. However you also need good gears if you are trekking or travelling to the high altitude or remote part of Nepal. Most of the gears you need for a trek are available in Kathmandu and Pokhara. But be careful of knock off gears produced locally with fake tagging of good brands like North Face. There are authentic North Face shop but cost will be as much as in your home country. If you are going on a short trek or tour and don’t need those gears for later, those serve the purpose for really cheap. Most of the trekking trails passes through national parks or conservation areas which checks upon environmental issues with tourism and set the rules accordingly. So issues with deforestation, plastics and other non-degradable waste management have been less or more taken care of. However it will be wise to travel Eco- friendly way and follow the norms of sustainable tourism. The best practice would be to eat local food grown locally. Carry your own water bottle and purification tablet. Stay in lodges that have adopted traditional architecture and characteristic and are run by local families. Also carry back the used batteries and other non-degradable wastes. There are only certain clinics and hospitals which deals with insurances and they are expensive. Helicopter is the only and effective means of evacuation. So have proper insurances that cover medical and evacuation. Don’t drink tap water or take ice cubes. Only drink bottled water. Avoid Salad, unpeeled fruits or uncooked food as these are the common cause of traveler’s Diarrhea. Carry insect repellent and wear long sleeves and long trousers. Torch lights or head lights will be handy as streets are dark and power could go off any time anywhere. Bring hand sanitizer and wash your hands often. C and D adapter will be helpful for Nepalese plug and also bring converter if your electronics can’t handle 220 v.
Advices on travelling to the Nepal may make you nervous and think again, but it is better to do it once than read and hear about it hundreds of time. All the information may sound overwhelming, but it worth the visit. Cost effective Tours / Treks. 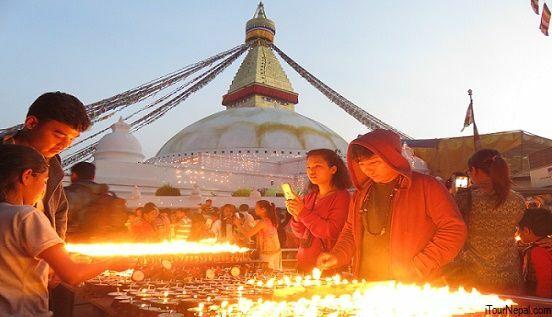 See Mt Everest and the eastern Himalayas by 1 hr sightseeing flight while you are in Kathmandu, Nepal. The mountainous landscape of Nepal with Himalayan frontier provides perfect ground for dreamlike trekking. Check out other short treks in the Himalayas of Nepal.